You should not think of an academic assignment as complete once you have submitted it. In order for you to achieve full satisfaction and development from study it is important to reflect on your marked work. You should take time to understand the mark and the comments of the marker and use these to help you develop your future work. Re-reading and engaging with marked work will ensure that you further your understanding of the subject area. In turn this will also help you with your future assignments and consolidate your learning. A good marker will have fully engaged with your assignment and provided feedback. In order for you to understand their comments and suggestions it is important for you to, once again, fully involve yourself with your work. Comments written within the work can only be understood by re-entering into the context of the whole piece and engaging with the cross-play between the marker and the written word. All academic institutions and academic staff are different and they all employ different techniques and styles of awarding marks and feedback for submitted work. It is important that you understand some of the basics related to your course. For many students the most important thing is the bottom line, the awarded mark. Most students will automatically look at their mark before doing anything else with their marked work. The mark will serve to either disappoint or inspire. Many institutions use a % number as a mark, others may use grading systems such as A+, A, B, C etc. The key is understanding how the system works in your institution. Find out what the pass mark is for each assignment you submit, you may also want to find out what each band of marks mean. Before you have this information it is not possible to understand your mark – you may feel like your mark of 70% is poor until you find out that, in your institution, 70% represents an excellent mark. You should, however, look beyond the mark and carefully examine any feedback from the marker. Such feedback will likely be included on a ‘feedback sheet’ and/or written directly onto your submission. Standards and styles vary from one institution to another, across departments and for different markers. ‘Feedback sheets’ are often used to provide a comprehensive and structured general response to your assignment. The marker may, for example, indicate if there are any general areas that need improvement and may also give an indication as to whether or not your work was structured well, overall. Other comments may relate to how you have addressed the question and whether you have responded to the specific skills demanded of the question. That is, have you actually described, defined, compared and contrasted or analysed, etc. when the question has directed you to. Such feedback can be very useful as it will clearly indicate whether you have addressed the question comprehensively. The comments may include aspects that you might have further expanded upon or are missing from your response. If you receive a feedback sheet it is worth reading it carefully - as the marker has spent time giving you a comprehensive response to your assignment as a piece overall. Have you addressed the question fully? This is a vital area to consider both when planning your work and when you have received your marked work. Many students have a good grasp of the subject area but do not address the question appropriately. For example, a question might ask that you ‘define a certain theory and discuss it in relation to the work of ‘others’. If you did not initially define the theory but rushed straight in with a discussion, then your work will lack structure and the context will not be clear. You will have not demonstrated to the marker that you can accurately describe the original theory. The marker will likely indicate that you have not addressed the question specifically, or fully, and your mark may suffer as you didn’t provide a clear definition to build your argument around. Such problems are usually to do with poor assignment planning. See our page: Planning an Essay for some guidelines. Neglecting to fully explore the theory in relation to the work of others’ will also usually indicate that there was a problem at the planning stage. It will also clearly indicate that you have not read around the subject fully enough or referred to relevant further research. The marker will often state where they would have expected further discussion regarding appropriate research or theory. Other words or phrases from the question which might not have been addressed may include: ‘assess’; ‘analyse’; ‘critically evaluate’; ‘compare and contrast’; it is worth taking clear note of such aspects when planning a response. Has the marker made comments on your points and expanded upon them? When a marker is engaged with your work they may add comments which agree with your points and which indicate where the argument could have been expanded upon. The latter does not necessarily mean that you should have further explored that aspect, though this may be the case, but it may also just be an indication of where you might like to further explore an area for interest or general development. It is worth again engaging with your work as such comments will only have resonance if you are actually aware of their context. So actually noting why you have received a ‘good’ comment within your work is as worthwhile as noting any negative comments. Are there areas that needed further development or points which you should have included? A marker should clearly indicate any failure in this area and you should take care to note such comments. If you have neglected certain points, or not fully developed your argument, there is an implication that you did not fully prepare for your assignment or sufficiently read around the subject area. Such a lack could be in both researching and planning your work. It is not always possible to include every point and when you are new to a subject it can be very difficult to know what is essential and what is not. This will be clearer when you have received your marked work as the marker will indicate if you have neglected a crucial element. 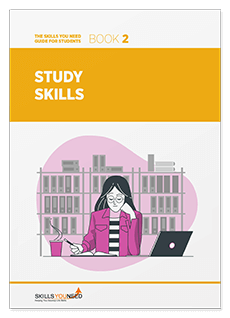 Students can also find that they have edited out relevant areas because of the word limit and this can again be a difficult area which you will get more competent in as you progress through your studies. Being too closely involved with your work can also mean that essential aspects have not been clarified so it is always useful to take a break from your work before submitting it - after a last and final edit. Are there comments indicating that your meaning is unclear? If the marker has indicated that they do not follow or understand your meaning then it is worth discovering why. What have you said that is difficult to understand? Sometimes when students express thoughts, because they are so used to what they think they are saying, they are unaware that it actually makes little sense when read by someone else. A marker will sometimes indicate their lack of comprehension with a question mark or may rewrite the sentence or phrase how they think it should read. If you find that you often receive feedback indicating that the marker is unclear what you mean, then you may need some further help with your written work. See our writing pages and get somebody to proofread your work before you submit it. Are there comments about the structure or logical progression of your work? This can be a difficult area to address – you work so closely with your assignment before submission that you are sometimes not able to see its overall progression. As a result the clarity and structure of the work can break down. It is, however, very important for the general comprehension of your work to ensure that the argument, and structure generally, are easy to follow. A marker may indicate if they have had trouble understanding your points or the general progression of an essay. This is another area which relates to both the planning and editing of your work, having future work proofread before submission can help. If your work is well-structured it usually indicates care at the planning stage. Are there comments regarding the format or presentation? Some students find that they have worked for so long on an assignment that they feel it is time to just send it off as they can no longer have patience with it; this is often a mistake. The final editing of a piece of work can make all the difference and is usually best done after a break from your work. Poor presentation does imply a lack of care, interest and respect, so you should avoid submitting work which is badly presented. Poor presentation can also make reading your work difficult and the engagement of the marker may be impeded. Your institution probably has guidelines for presentation of assignments, these may include certain line spacing, use of certain fonts, page numbering, format of a title or front page etc. Make sure you know what is expected of you, from a presentation point-of-view, before submitting future work. See our page: Assignment Finishing Touches for some ideas on presentation of your work. If the format is not appropriate to the specific question then this will be reflected in the mark. For example, if you were asked to write an essay and your work contained headings, like a report, you would not have addressed the question appropriately. Are there comments regarding the referencing? You will be expected to research and to refer to the work and ideas of others and to adequately reference your reading. For further help here see our page: Academic Referencing. Referencing your work correctly is vital in academia. This area will relate to both the initial planning (e.g. ensuring that you find appropriate quotations and reference them correctly) and editing of your work. Learn from any comments the marker makes with regard to your referencing and make sure that you avoid plagiarism. How many editing corrections are there? You may feel that markers are being ‘picky’ or pedantic when they indicate that there are spelling or punctuation errors in your work. Words spelt incorrectly or a comma in the wrong place can change the meanings of a sentence and therefore make engagement with your work more difficult. In particularly bad cases such mistakes can make work incomprehensible. Poor spelling and grammar makes your work look sloppy and reduces credibility. There is a big difference between an occasional typographical error and major problems with basic spelling and grammar. Once again these may be avoided by thoroughly re-reading or having somebody else proofread your work before submission. English can be a difficult language and it is worth remembering that some words sound the same but have different meanings and may not be picked up by the spell-check on your computer. For example, manner and manor or draft and draught. Although the computer can help to pick up a lot of mistakes it should not be seen as a replacement for proofreading. See our pages: Spelling, Grammar, Punctuation and Common Mistakes in Writing for more information. Sources of Information | What is Theory?